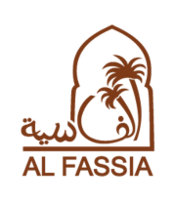 Al Fassia has two floors, each with its own particular atmosphere. Downstairs, you’ll find our intimate yet contemporary dining room. 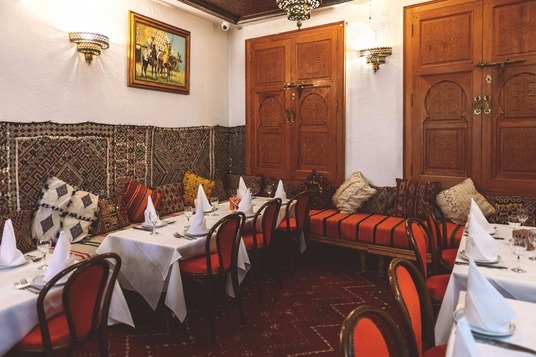 Upstairs, however, we offer something altogether more evocative of traditional Moroccan dining, The Amina Lounge. 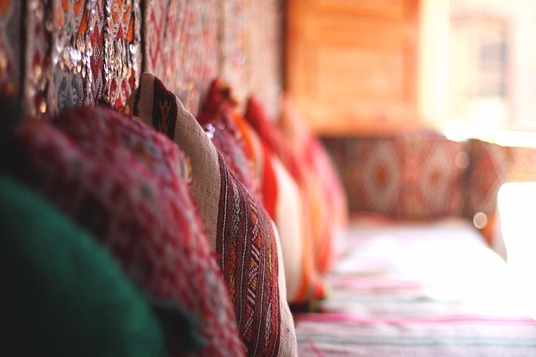 Designed to make you feel like you’re walking into a Moroccan home, The Amina Lounge is a large room adorned with the same hand-made carpets and drapes we use to decorate our hotel and restaurant in Marrakech. The Lounge can comfortably accommodate almost any private event, with seating for up to 40 diners. 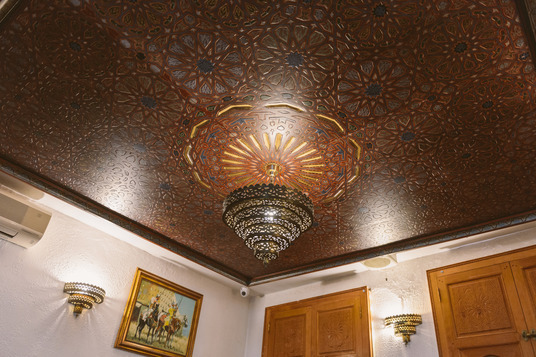 You can of course tailor your evening’s every detail to suit your needs: ensure the music is to your taste, offer bespoke menus in advance of your visit, supply you with a personal waiter for the duration of your meal, and even hire belly dancers for some after-dinner entertainment. 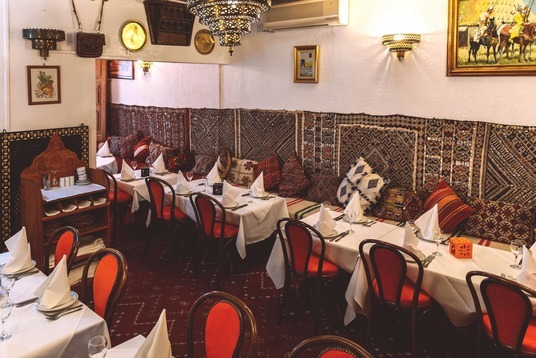 In The Amina Lounge is another room, smaller but no less hospitable. 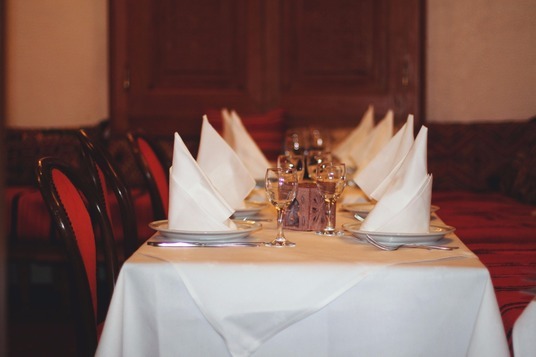 Here up to 10 people can enjoy a semi-private meal together.